Patch 1.0.15 should be live now on Steam! This patch includes a large update to networking code to improve performance in multiplayer sessions. Hosts should no longer see huge performance drops when clients join their games! 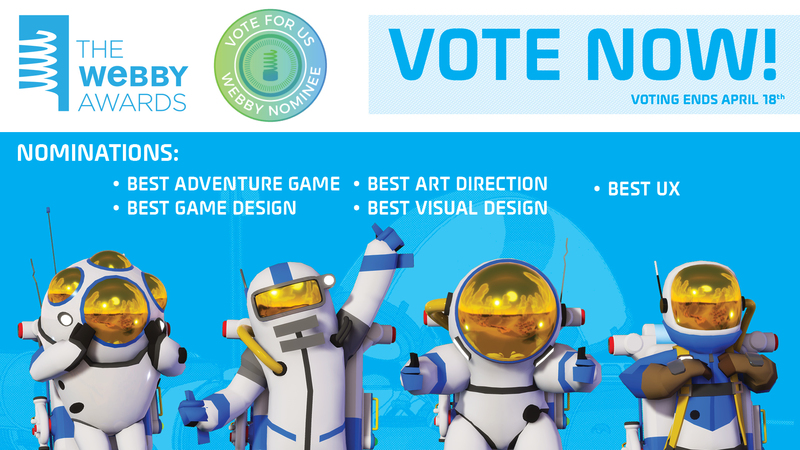 Also if you haven't heard already, Astroneer is nominated for FIVE Webby awards! We could use your vote to bring the awards home, so head over here (VOTE HERE) for more details about what categories and how to vote! Thanks for reading and I look forward to kickstarting the youtube channel back up soon with a new post 1.0 vlog with more details about our next update! Amazing news! Astroneer has been nominated for FIVE Webby awards! We are honored to be included, but now we need your help! We are beyond excited and hope that with your help, we can bring these awards home! Voting ends Thursday April 18th, so vote now! Also stay tuned for details on a patch for later this week to address multiplayer performance, more crash fixes, and performance upgrades! 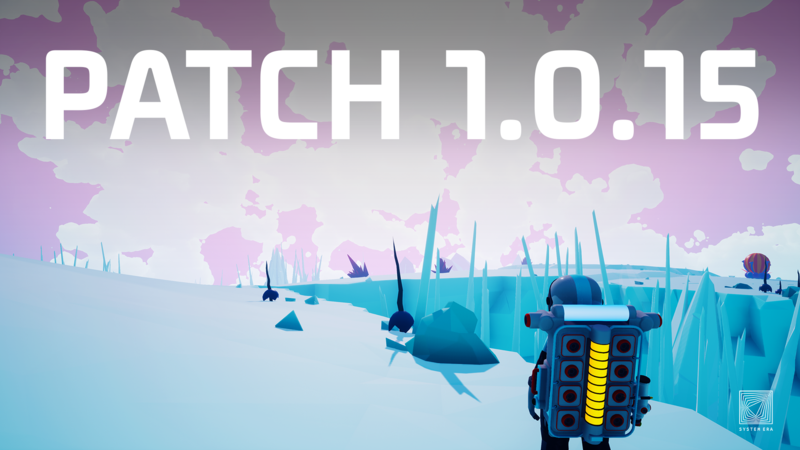 Astroneer's 1.0 update launches on February 6th 2019! It includes an entirely new solar system, new suits, hazards, vehicles, and items to craft!